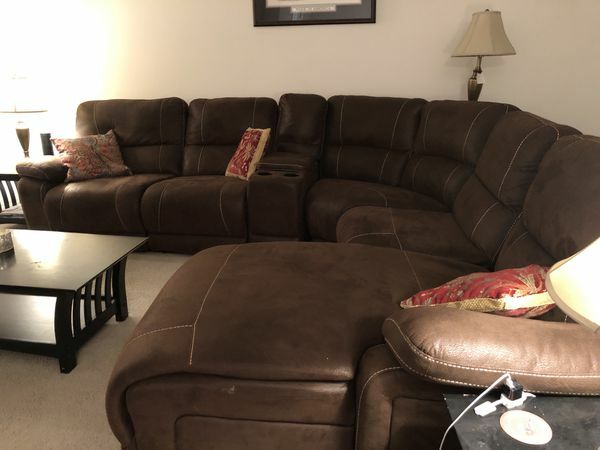 Sectional couch in great condition. 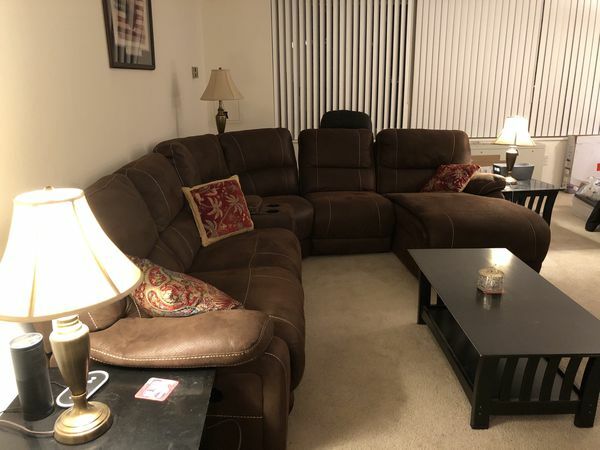 In apartment with 1 person renting, most of couch hardly used. 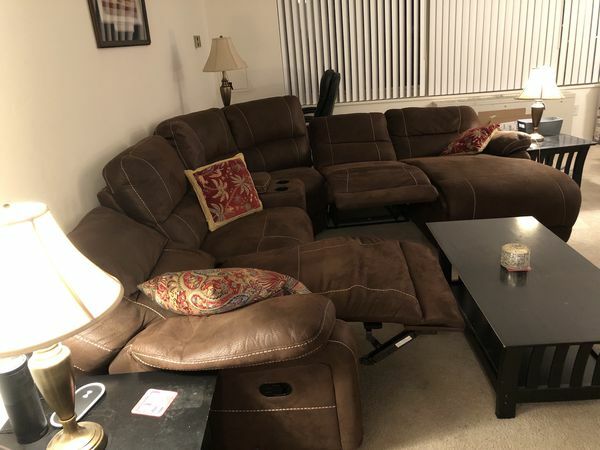 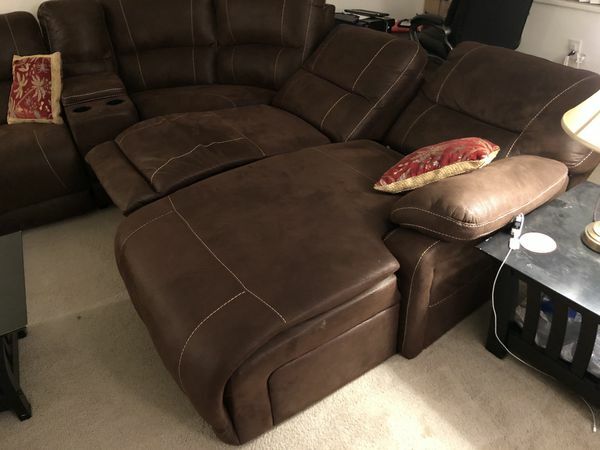 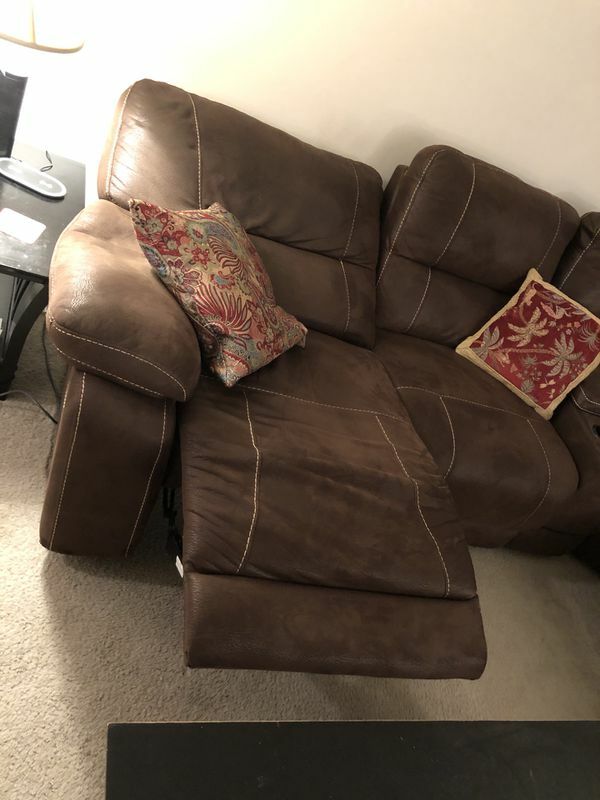 Couch has 2 declining seats + chaise with a recliner as well. 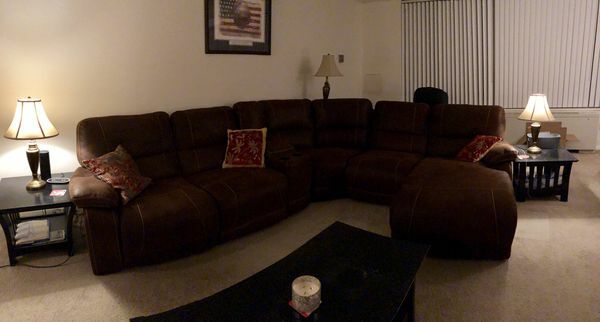 Material is fabric with no stains or marks from food or drink.